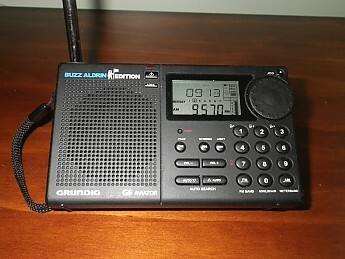 This is a tough little radio with pretty good reception for its size (3" x just under 5"). 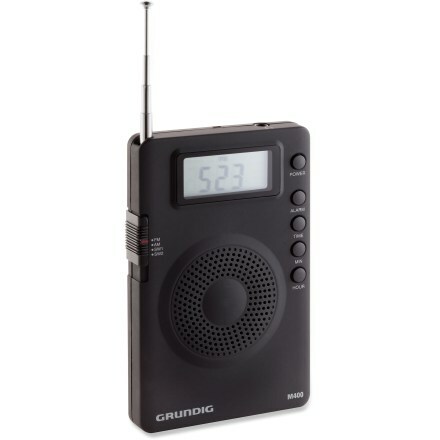 It has a great feature set with the ability to pick up Air (Aviation) Band (from 117 to 137MHz), Short Wave (2000 KHz to 29999KHz), FM stations, AM Stations, LW Stations, as well as the ability to tune in SSB and listen to some HAM Operators. I received this radio as a gift several years ago. It has been very durable during that time. It basically is as good today as the day I received it. 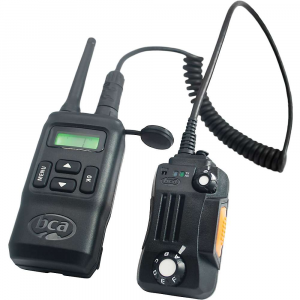 It is a very easily portable radio, measures 3" x 5" x 1" or so, and weighing in at around 9 ounces with batteries installed and wrist lanyard on. This radio picks up several different bands of radio. Starting with LW at 150 KHz and it runs constant all the way through the SW bands to 29999 KHz. You can also pick up FM stations starting as low as 76 MHz through to the normal 108.1 MHz, and Aircraft band from 117 MHZ to 137 MHz. Although, on the aircraft band the radio doesn't do automatic scanning like it does on some of the other bands, so you're better off to know the actual stations in use in your area, usually found with a quick search on the internet. Does have several features such as the ability to store stations, so you can quickly go to your favorites for a listen. 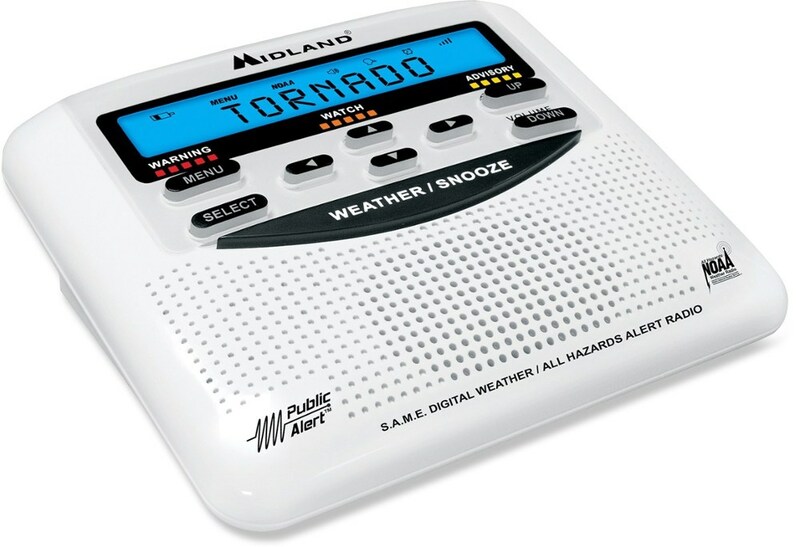 Three different alarms to set, either to wake you up, or turn the radio on when your favorite show starts. Displays the time on the screen always. Has a signal meter, works ok but not great, doesn't work at all on SSB stations. 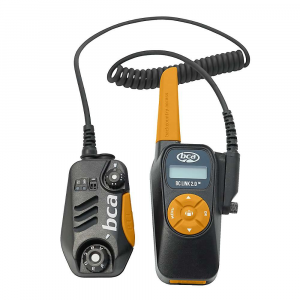 Have the ability to automatically scan on AM, Shortwave, and FM. Can also scan stations manually by pushing buttons, or using the scroll wheel. Scroll wheel has two speed options, Fast and Slow, as well as a Lock option to keep from scanning off station. Has two ports on the side, one for headphones, and the other for an additional antenna. The radio does also come with an AC Adapter, and has the ability to recharge NiMH Batteries, although I can't comment on that feature since I have never used it. It also comes with a nice protective storage case. I have the Buzz Aldrin Edition which came with a nice little signed card. 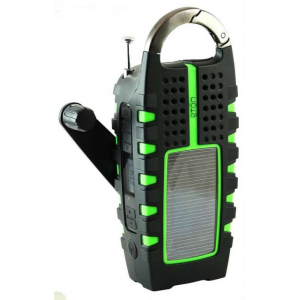 I have traveled with this radio to many different areas and I have always enjoyed to good reception on it. I do have to say that it will pick up some electrical interference from appliance in the house, but not so much that it overwelmes the stations. Static interference is much lower when away from the home. 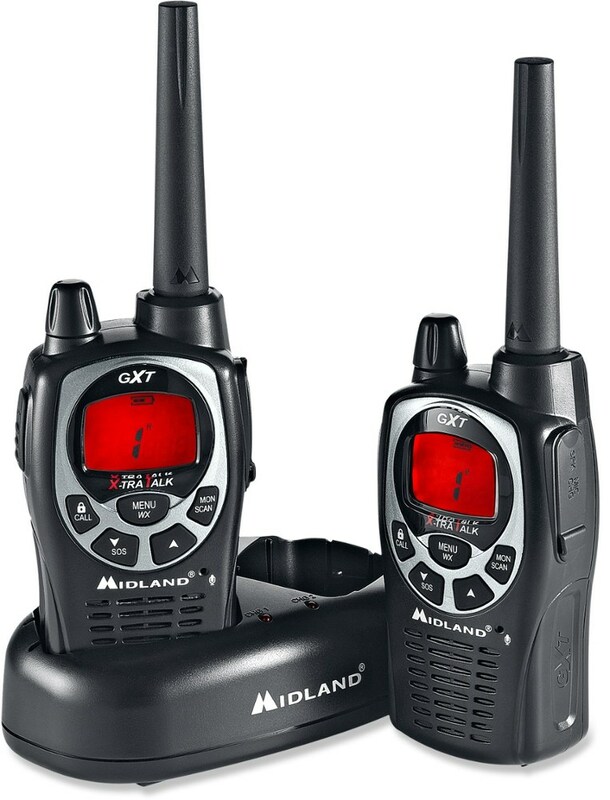 The radio has been very reliable for me, and a set of batteries can last me months during average listening. i'm in the sf bay area?? 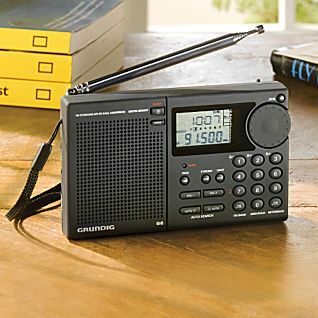 The Grundig Aviator G6 is not available from the stores we monitor. It was last seen September 21, 2010	at National Geographic.